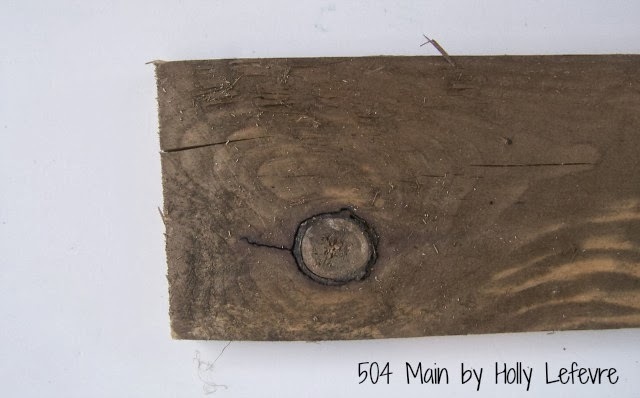 I have been experimenting with new and natural ways to stain or age wood. First I tried Apple Cider Vinegar...and now Balsamic vinegar. I an so LOVING the colors these different vinegars give the wood. I have done many projects with these "stains,"
but for now I just want to share the technique. 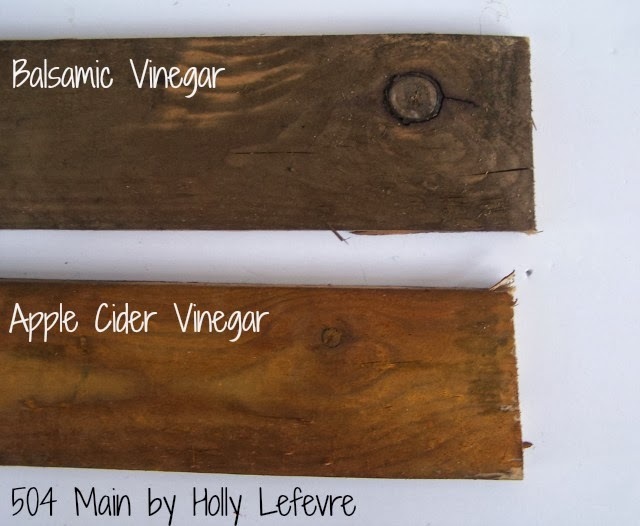 Just like the apple cider stain...this one is so easy! NOTE: Different vinegars will produce different finishes and I did some research about aging with balsamic vinegar. Apparently it is supposed to give you a greenish color...but I would not color my color green at all! 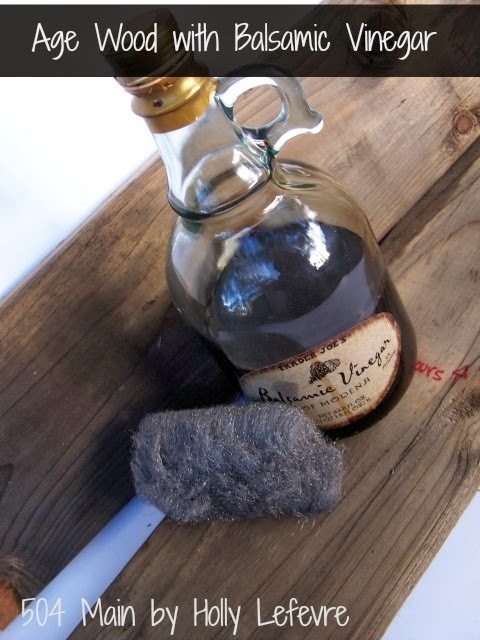 In a 2 cup+ glass jar, I placed 1 steel wool pad and 1 cup of balsamic vinegar and 1 cup water. Because balsamic vinegar is more expensive and comes in smaller bottles, I mixed it with water to make it stretch further. Put the lid on the vinegar/steel wool mixture and let it sit...mine sat for about 1 week before I liked the intensity of the color. I tested it every 24 hours to see the color. 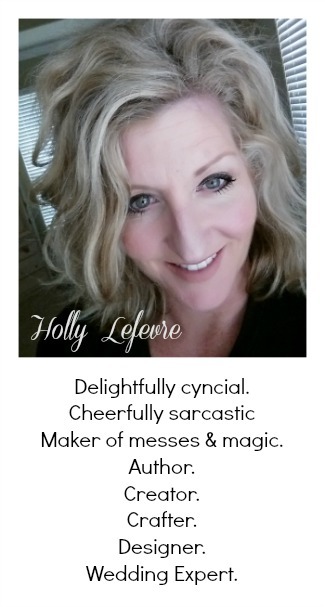 EDIT: The less you let the mixture sit the lighter the stain. If you are looking for a particular color, I suggest testing the mixture every 24 hours until you see the color you desire. When my concoction was ready (to my liking), I gave it a quick stir. Some suggest straining out the steel wool. I did NOT...there was not much left - bits and pieces...but I really did not care they were in there. If necessary, transfer smaller amounts of the stain to a smaller glass jar to work with- it is easier to handle that way. Be warned...the smell is pretty intense...it is vinegar! I just did this all outside. The mixture smells, but I do NOT notice a lingering scent on my project. NOTE: Now, protect your work surface - it may stain concrete or whatever is comes into contact with. Wear gloves - seriously - WEAR GLOVES. My hand are even more aged right now! Use the paint brush and brush on the vinegar all over. 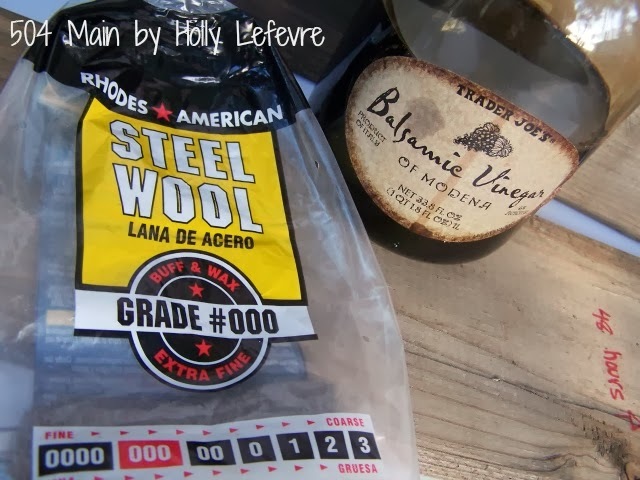 Rinse the wood to remove any residue from the steel wool. It may lighten the stain a it. You can always reapply another coat to darken it up. 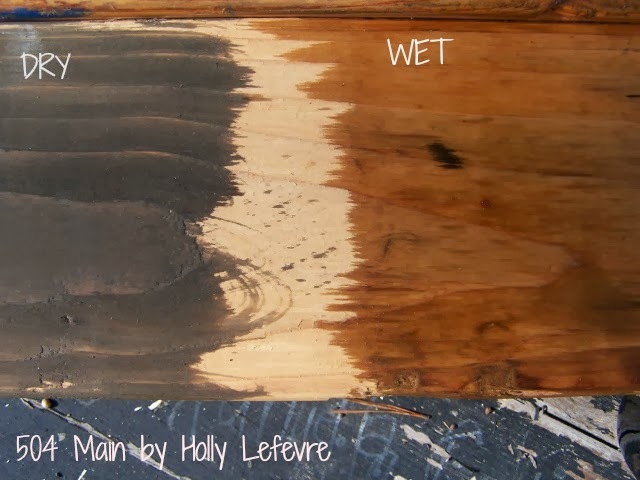 Below you can see the difference between what the stain looks like when wet and then when dry. and I cannot wait to show you the projects I have done!